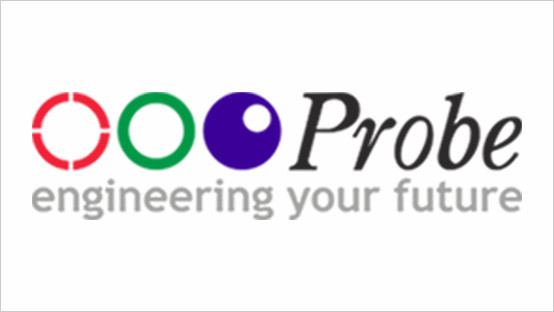 Probe has played a significant part in the recruitment of Maintenance Technicians. I have been impressed by the professional manner and friendly approach exhibited by them. I have high regard for their performance and would recommend their recruitment services to other companies looking to recruit for similar roles. I speak with many consultants (as you know) and none are quite as reactive as you guys. Let’s face it; I never provided you with any job specs, no salary information, and no real information at all – but you always knew what I wanted! So you were a real help, especially during start up of our new plant. We recently engaged Probe to recruit an Accounts Purchase ledger assistant. Probe responded swiftly and accurately, interpreting our needs from the initial site visit and line manager discussion. They provided a range of candidates all possessing excellent competence as well as cultural fit, the candidates were well briefed on both the role and company profile. We shall not hesitate to use Probe again. We recently engaged Probe to recruit an Accounts Purchase ledger assistant. They responded swiftly and accurately, interpreting our needs from the initial site visit and line manager discussion. Probe provided a range of candidates all possessing excellent competence as well as cultural fit, the candidates were well briefed on both the role and company profile. We shall not hesitate to use Probe again. I am just writing an email to thank you for the help and support you gave me in finding new employment for my 2 engineers. It was a sad day for both when I made them both redundant but I cannot thank you enough for the support and speed you gave for getting them both interviews and ultimately finding them new employment so quickly. Once again thank you very much for your support. I have worked with Probe over the past few months & have discussed my requirement with a few recruitment agencies over this period but none performed as well as Probe. Probe understood our requirements exactly and matched candidates extremely well. Their professionalism is beyond reproach and I certainly have no hesitation in recommending them.